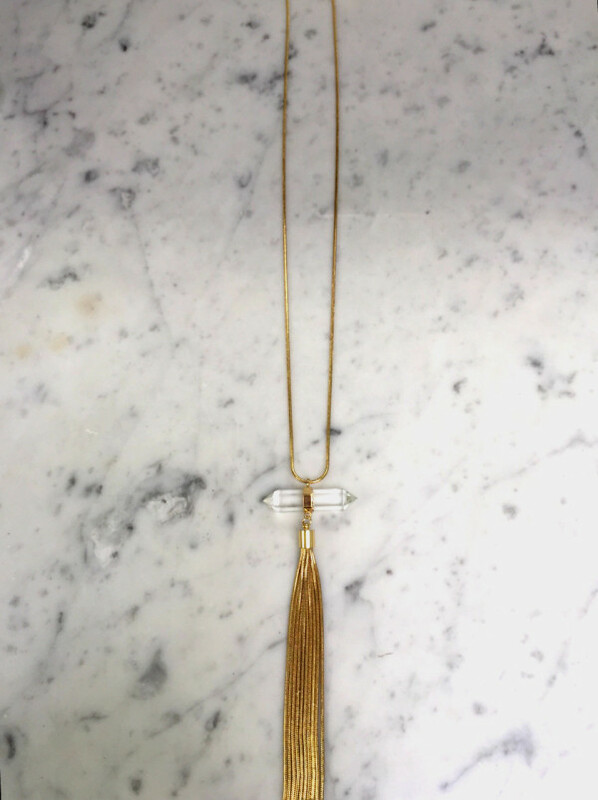 Tags: crystal, pendant, pendant necklace, Tassel. True to her namesake, Celeste has both French and Italian origins deriving from the words celestial or heavenly. 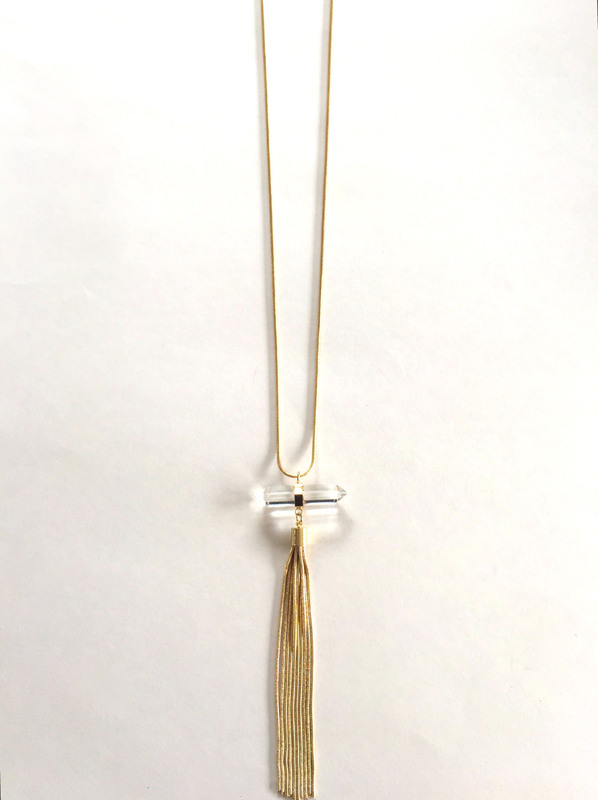 Two perfect words that describes this beautiful necklace. 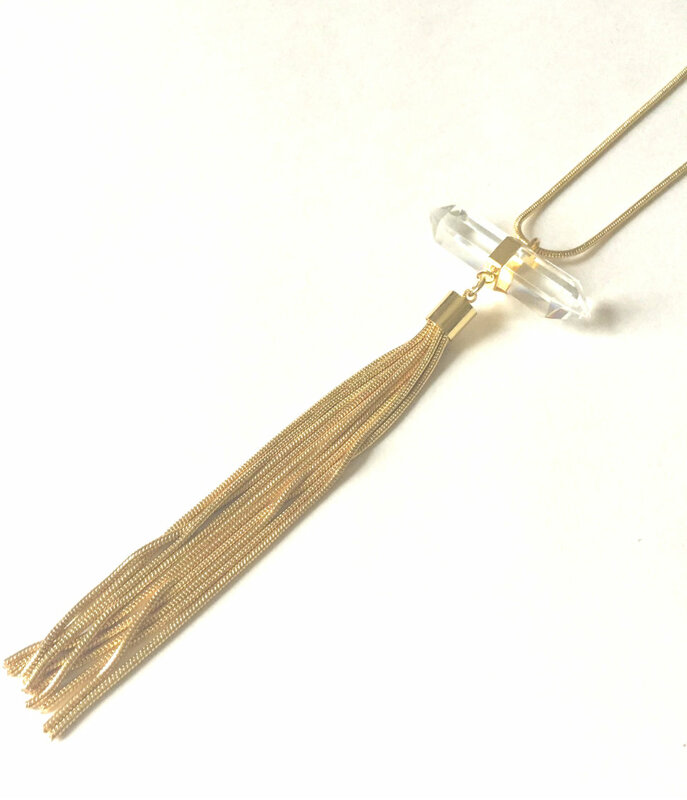 The clear resin crystal evokes mystical and spiritual properties, and the gold strand tassels give it that perfect and exquisite finish.